Welcome back blogging buddies for week 2 of our ATB Challenge! Every Sunday I will be posting a new challenge for you to try out. Each challenge will be geared toward eradicating teacher burnout in the long run. Challenges consist of simple activities, or suggestions, that will encourage a healthy lifestyle, stress-free living, and positive thinking that will benefit you both inside and outside of the classroom. You can check out last week's challenge here. Although we are moving on to week 2, keep your list from week 1 close by. Technology has wonderful benefits. I use it every day. However, it is becoming increasingly obvious that we are over-attached to our technology. Remind yourself daily, technology has a power-off button....use it! For one, we need solitude. It grounds us to the world and provides the stillness and quiet required to evaluate our lives and reflect on the day. True solitude and meditation require the intentional action of unplugging. It is important to actively participate in life. Life, at its best, is happening right in front of you and these experiences will never repeat themselves. These conversations are unfiltered and authentic. If we are too busy staring down at our screen, we will miss out. We need to create more and consume less. Most of our technology time is spent consuming (checking Facebook, browsing Pinterest, reading Blogs, etc....) But our world doesn't need more consuming, it needs more creating. Your students, family, and friends need your passion, your solution, and your unique contribution. Sure, one can argue that technology can help creation. Especially with the ability to create and share teaching resources on sites like Teachers Pay Teachers . However, it is important to take time to create in other ways as well. 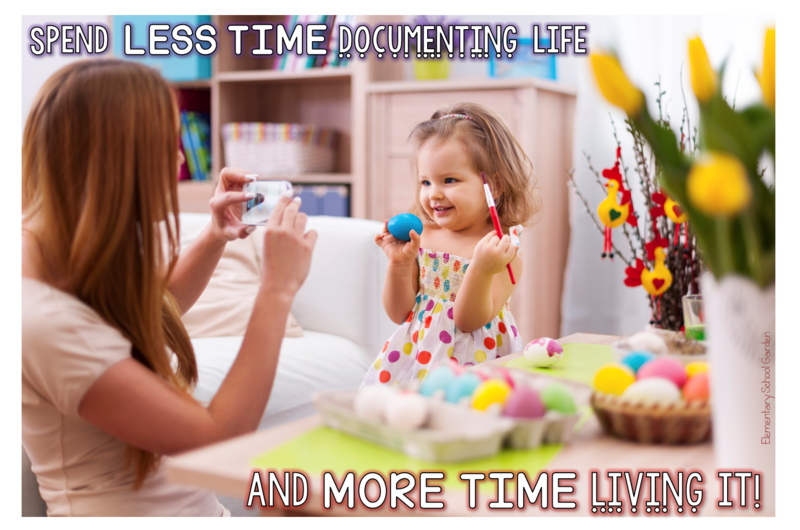 Less technology equals more time for other things...like lesson planning, cleaning, cooking, spending time with family and friends...etc... Us teachers, we are always looking for more time. Unplugging will create that missing time that we thought we could never find. Now, I'll be the first to admit, this challenge is hard. I am right along side you on this one. 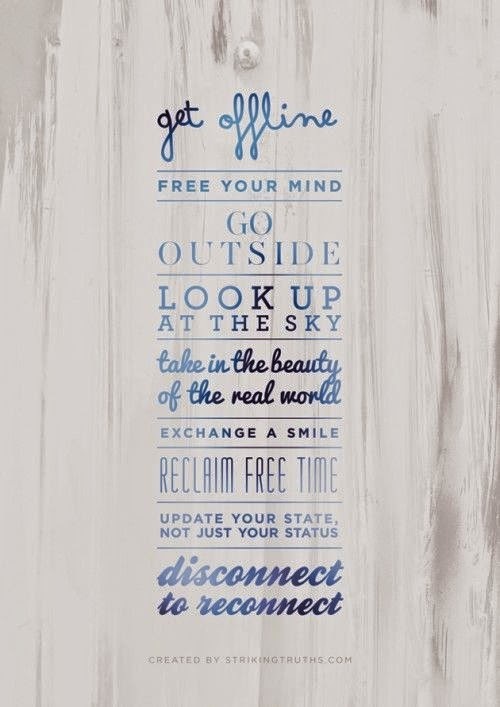 Each day I will have to remind myself of the importance of unplugging from my favorite devices. I love this pin that I found on Pinterest from POPSUGAR. Upon waking, wait before turning on your technology. After all, the world ran just find without you for the past 7-8 hours. One more won't hurt. Blocking out one hour (or even 15 minutes to start) to focus on mediation or your upcoming day will help you wisely shape the other 23. Better manage your time-wasters. There are a number of internet tools that can help you better manage your time online. Freedom will disable your entire internet connection for a time period set by you. Selfcontrol will allow you to block access to uniquely specified websites (like Facebook) for a period of time, but you will still have access to the rest of the web. Unplug before bed! It will help you settle down for the night. Some research has shown that it may even help you sleep better. What are you waiting for? Try it out! Then let me know how it goes and then tune in next Sunday for your third challenge!